NyLaurent Wardrobe featured in VULKAN Magazine, styled by Senior Fashion Editor Monica Cargile. NYLAURENT: Did you always have a love for clothing and a desire to be in the fashion industry? MC: Not at all, lol! I actually wanted to be a Psychologist when I was younger. Since hind sight is 20/20, I do look back and realize that I always had an eye for fashion though. As a child, I would love looking through my mother's closet and always had a suggestion about what she should wear. I loved when she had a party to attend and she would wear sequins and bright colors. Even today, I am captivated by ornamental pieces. NYLAURENT: How did you start styling? MC: After college, I worked at a small music production company in Hollywood. I did everything from answer the phones to run the artists' myspace pages. Whenever the artist had a live appearance or photoshoot I would ask to help with their "imaging". I didn't even know that styling was a job! I received a lot of great feedback and decided to pursue styling as a career. I landed an internship with a Celebrity Stylist and never looked back. NYLAURENT: What do you like most about your job? MC: I love the transformation process. Whether I'm styling a client for the red carpet or a model for an editorial, I love watching the person become this glamorous, 2.0 version of themselves. You can see their confidence rise and it's amazing to be a part of it. NYLAURENT: What are the biggest misconceptions that people have about styling? MC: Most people don't realize how much work goes into the looks that they see. They see a beautiful picture in a magazine but don't know I had to promise my first born for that dress, lol. The footwork to make that picture happen is not glamorous at all. Shlepping garment bags, going to fedex, returning all the items. There is a lot of prep and time involved for every project. NYLAURENT: Do you work with magazines often? MC: Yes, I am a contributing Fashion Editor to different magazines like L'Officiel Australia and The Wrap, but I am also the Senior Fashion Editor at A BOOK OF magazine, based here in LA. I love being able to shape the fashion direction of the magazine and as a black woman it is so important to have a platform and a voice in this industry. The NyLaurent Fashion Showroom in Los Angeles, CA is a key wardrobe resource for talented creatives to brings any vision to life. Wardrobe available for pulls & rental. 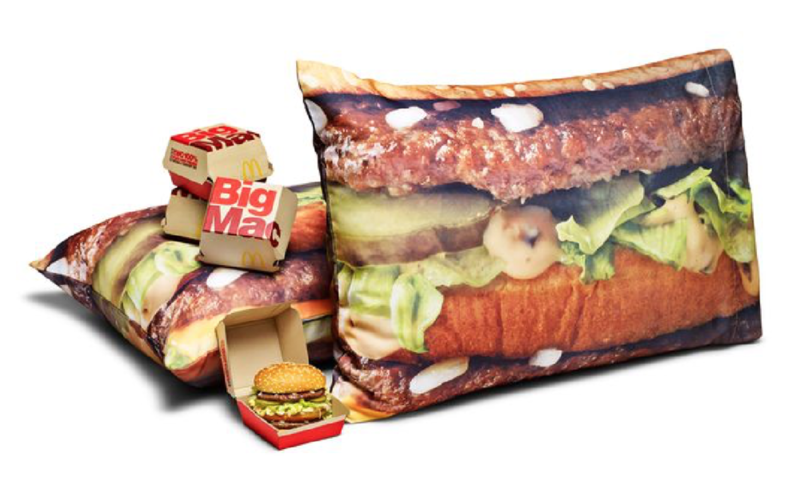 If there is such a thing as fashion exploitation, this McDonalds line promoting the collaboration with delivery service UberEATS would be it! Creating a textile with screen printed objects is just that. If the intent is to use fashion as a medium to communicate with Fashion enthusiasts, the secret is to tastefully display key brand attributes wile focusing on creating a trend setting design. At the NyLaurent Visual Design Agency, we are at the intersection of Food And Fashion. With a deep rooted understanding of “Path-to-purchase”, consumer shopping habits and trend setting fashion; we will execute a #FoodAndFashion campaign guaranteed to send a memorable message to both Food and Fashion enthusiasts. While perusing the Sweets & Snacks Expo in Chicago, it was mind blowing to see the immense opportunity to merge inventive, emotion provoking Social Media moments that spark action from the attendees. NyLaurent was extremely successful at achieving this goal through custom Art Instillations. We simply used the fun, colorful aesthetic of the Sweetarts brand, ideated around the available space and developed an exciting concept that significantly increased foot traffic through the branded booth. NyLaurent CEO Nyleve Henry has extensive experience within CPG Supply Chain operations and experienced the link between Marketing and the velocity of candy sales. 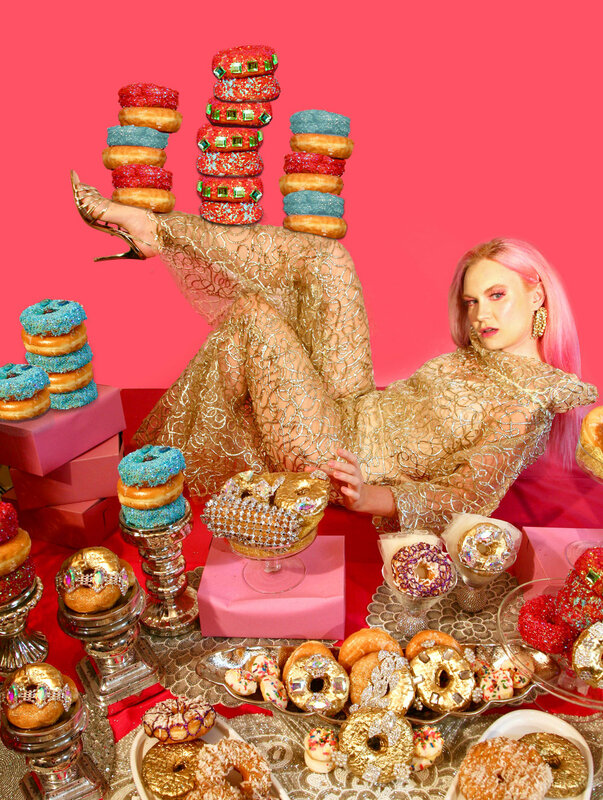 With thousands of Sugar brands competing for the same Market Share, the infusion of Art, Fashion & Music into Content Campaigns is a strategic way to increase intrinsic value.